Letter: HOV lanes are problematic. Here are some solutions. (Al Hartmann | The Salt Lake Tribune) UHP Lt. Danny Allen looks for cars illegally using the HOV lanes along I-15 in Salt Lake valley Wednesday Oct. 6. This van going by only had one passenger and didn't trigger the transponder reader that indicates an express pass. It also had a CNG sticker that used to grant access to HOV lanes in the past but not necessarily now unless it's registered. 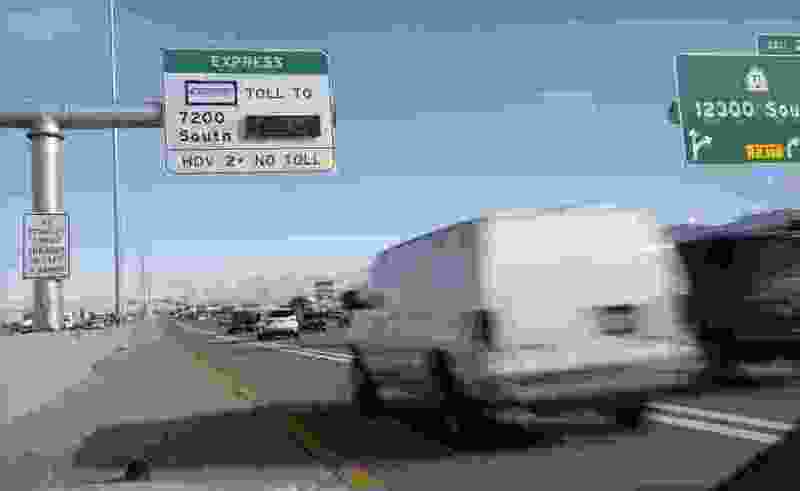 Utah Department of Transportation and Utah Highway Patrol are partnering and launching an enforcement blitz to educate drivers how to correctly use the express lanes. Utah's Express Lanes are the longest continuous in the country stretching 72 miles from Layton to Spanish Fork. It appears that UDOT has no good solutions to solve the high number of HOV lane violations occurring in Davis County except Highway Patrol blitzes. Human psychology dictates that HOV lanes are supposed to be designed to be more convenient and allow drivers to pass up congested freeway lanes. The inadequate funding to provide for HOV passing lanes and the relatively low speeds of HOV contribute to the increased irritation and anger of HOV drivers, who then violate rules. Real solutions involve the expensive construction of an additional HOV lane so HOV drivers can pass really slow drivers or a minimum HOV lane speed that is equal to or even higher than the 70 mph speed of most freeways. Also, high occupancy means “high occupancy,” so eliminating the one-driver option would seem very literally appropriate to reduce real traffic congestion and reduce air pollution. At minimum, using HUGE pleasing decals on vehicles allowed for HOV driving would also be great to publicly humiliate those drivers in HOV lanes without the decals and to catch them.